The Website and its Content is owned by Kiddie Matters (“Company”, “we”, or “us”). The term “you” refers to the user or viewer of kiddiematters.com (“Website”). Your Confidential Information is stored by us internally or through a data management system. Your Confidential Information will only be accessed by those who help to obtain, manage or store that Information, or who have a legitimate need to know such Confidential Information. We manage e-mail lists through a list management system. Unsubscribing from one list managed by us will not necessarily remove you from all publication email lists. 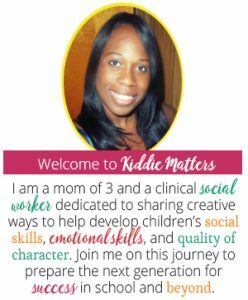 If you have questions or are experiencing problems unsubscribing, please contact us at kiddiematters@gmail.com.